Heart transplant recipient Steven Seddon and Fiona Stanley Hospital nurse practitioner Clare Fazackerley. A HEART transplant has given Willetton resident Steven Seddon a second chance at life-and a reason to run. Mr Seddon said he began experiencing heart trouble after he contracted sarcoidosis while on an overseas trip. Two-and-a-half years ago, the disease progressed to him needing a heart transplant. “Once I was home, I was in and out of Fremantle and Fiona Stanley hospitals, with two blocked chambers and two ICDs inserted,” he said. Mr Seddon is part of a team of 20 from Fiona Stanley Hospital’s advanced heart failure unit who will be running the four kilometre stretch of next month’s Run for a Reason, fundraising for the Heart Foundation. He said he would be running for those who had helped him while he was sick. 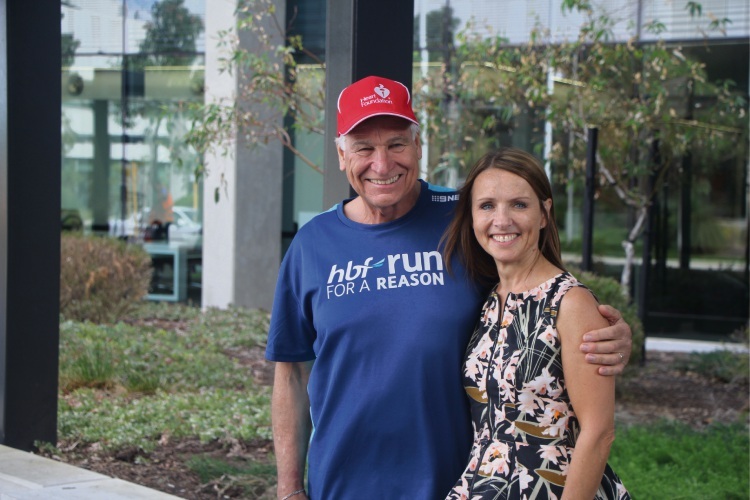 “Completing the HBF run is one way I can give back to those who have supported me throughout my transplant journey and help raise much needed funds for heart research,” he said. The Run for a Reason is on May 27.